In southern Broward County, Pembroke Pines has an estimated population of 168,587 as of 2016. It is Broward County’s second most populous city, placing right after Fort Lauderdale. It is the state’s 11th most populous city. As a principal in the Miami metropolitan area, which had a population of 6,012,331 as of 2015, it is a growing community. Pembroke Pines became an unofficially incorporated village on March 2, 1959, then was incorporated as a village the following year. It was incorporated as a city in 1961. Your overall home depends on your kitchen’s appearance and functionality. As the heart of the home, the kitchen is where meals are prepared and where food is shared. Anniversaries, birthdays, and other special events are celebrated, and memories are made there. Throughout the years, your family will gather in the kitchen countless times to mark special moments. Artistic Refinishing can make sure your kitchen countertops meet their full potential. Pembroke Pines kitchen countertop refinishing is an affordable means to make your kitchen look its best. Your kitchen countertops are used all the time. They will become rough, worn and lose their appearance all the while becoming more difficult to clean with age. With Pembroke Pines kitchen countertop refinishing, we can correct all the issues with one process. Your style and design can be exhibited in your kitchen with a quick remodel. Pembroke Pines kitchen countertop refinishing by Artistic Refinishing will take the functionality and appearance of your kitchen to a higher level. 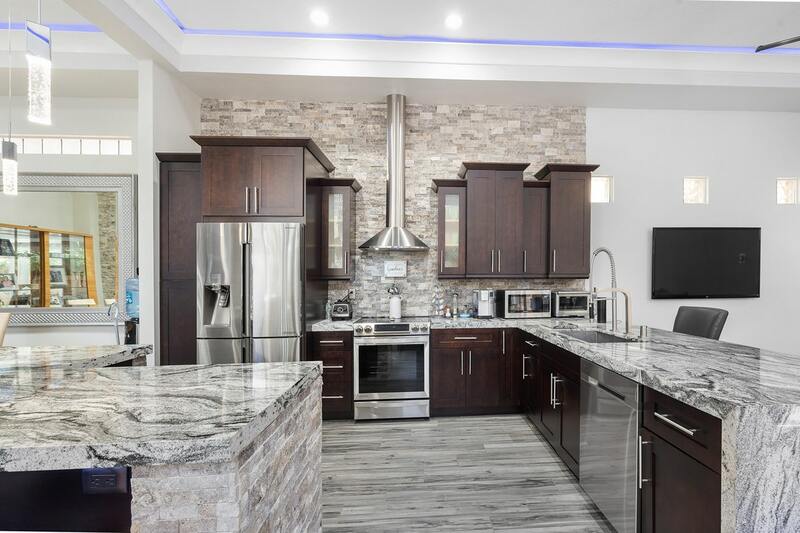 Our Pembroke Pines kitchen countertop refinishing leaves your kitchen countertops with an attractive and durable finish using a quality, non-porous surface. Your new countertop surface is healthier and easier to clean, so you can rest assured that your family will have the best to offer. 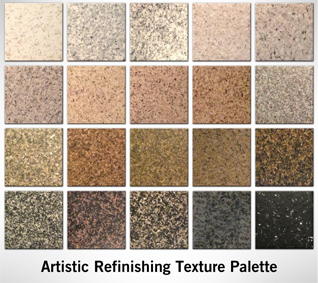 Artistic Refinishing uses a specialized coating system that has been proven effective time and time again. Our personalized approach has led to first-rate results repeatedly. We take pride in our ability to save our customers considerably on Pembroke Pines kitchen remodels. Our Pembroke Pines kitchen countertop refinishing services cost about half the amount necessary to replace your kitchen countertops. With our reliable approach, you can transform your kitchen without major inconvenience. Plus, projects are finished quickly. Pembroke Pines kitchen countertop refinishing is only a fraction of the cost of a full kitchen remodel or replacing your kitchen countertops. We guarantee it is the most economical approach to leave your kitchen countertops looking their best. Our Artistic Refinishing team of countertop professionals has handled Pembroke Pines kitchen countertop refinishing needs for dozens of clients. We have more than three decades of experience. Our company is licensed and insured, so you can count on the job being completed to your satisfaction. With multiple color options to choose from, you can select countertops that will meet your needs and design expectations. If you are ready for a more modern look in your Pembroke Pines kitchen, call the experienced Pembroke Pines kitchen countertop refinishing professionals at 954-300-3609 today for a free quote.